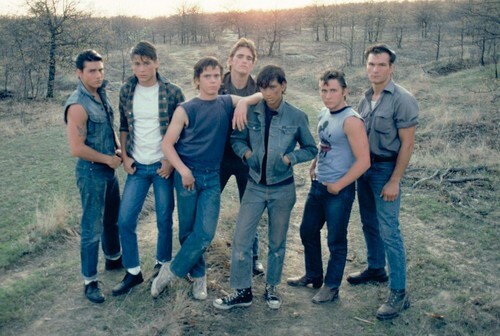 GREASERS!. . HD Wallpaper and background images in the দ্যা আউটসাইডার club tagged: the outsiders johnny dally darry ponyboy sodapop two-bit steve greasers. This দ্যা আউটসাইডার photo might contain লাগাম পথ and লাগাম রাস্তা. Hot. I have this pic on my fone and 32 others of them or Pony or Johnny. I took pics with my fone and now theyr on there!!!!!!! They go with me everywhere!!!!!! !